I received a lovely order yesterday all the way from the United States! Shipping was so quick considering that it came all the way from America. 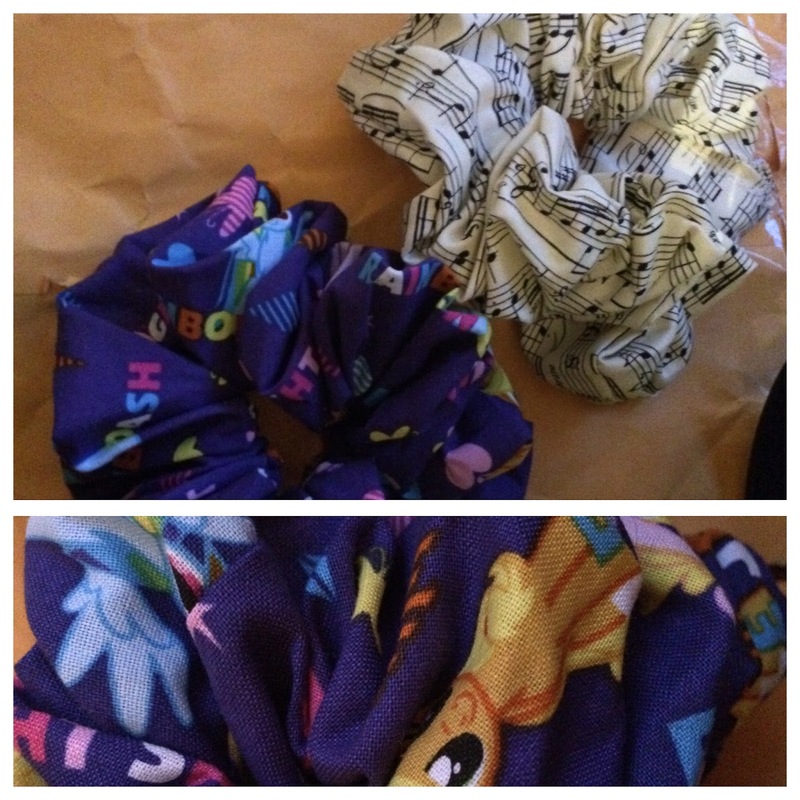 April's Hair Dazzlers stood out to me on Etsy as she makes scrunchies in every conceivable fabric and colour! As a nineties child, I can't help but love scrunchies and I always wear them so I don't snag my hair. They're perfect for thick hair. So I ordered 2 scrunchies. One with music notes fabric which is actually for my mum. And a My Little Pony one which is absolutely precious! They're incredibly high quality and pretty big too so they will definitely hold your hair in place. I've worn my scrunchie non-stop since I opened the package and it's so comfortable and cute-looking. April is lovely and let me know as soon as she'd shipped my items. I totally recommend April's Hair Dazzlers if you're scrunchie mad like me!